Starry Night has delighted art enthusiasts for over a century. You'll instantly recognize the sweeping brush strokes, dark backdrop, and vibrant stars, scaled down and formatted for your globe. As it rotates, you'll see every detail from a whole new vantage point. 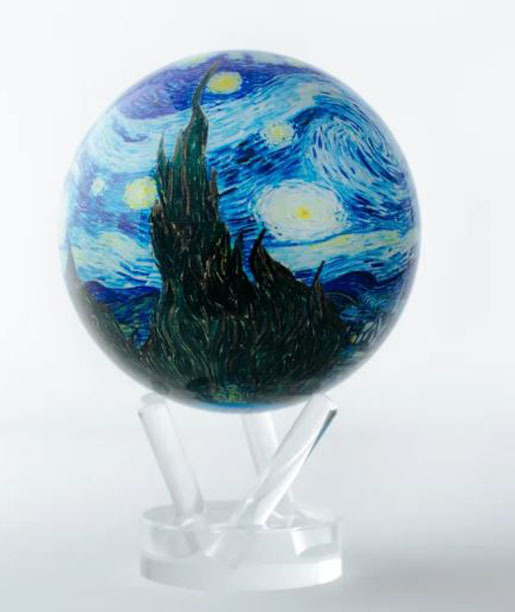 Whether the painting holds special meaning to you or you're simply a lover of famed artwork, this globe will make an inspired addition to your home.